It’s astonishing how many businesses are still operating with an email address that shouts ‘amateur’! I’m talking about those emails that end in aol.com, gmail.com, btinternet.com, hotmail.com, outlook.com (the hotmail replacement), live.co.uk or one of the other generic email systems. Why does this say you are not serious about your business? Simply because you’re advertising another organisation instead of having your own custom domain name that promotes your business. Obviously it’s subject to that domain name being available, but there are so many options that finding something that reflects your business name should not be difficult. Some people have challenges with moving their email as ‘everyone knows this one’, but there are lots of ways of diverting messages and advising your address book of the change. Having a generic email that is tied to your broadband means that you are trapped in what could be an expensive option too. 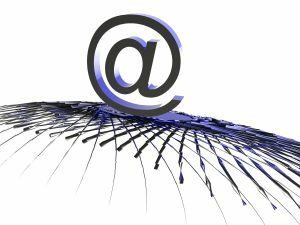 If you have a professional email address it gives you the freedom to change to a broadband service that is faster, cheaper or offers more options. Getting a domain name costs only a few pounds a year and a few more for hosting it. In fact, it’s possible to have a professional email address and still use gmail via Google Apps – and nobody will know, providing your IT people have set it up properly.